The “Opportunity of Power” in the position of authority is of course only as good as people handle the opportunity itself. I spend a lot of time warning leadership positions. The “Opportunity of Power” in the position of authority is of course only as good as people handle the opportunity itself. “Right of Passage” is a fiduciary challenge to the solution. A given option that is not good for the company president is still obtainable simply because of the word “ant.” Perhaps an office “trick” or an overspending of corporate funds to name just a few. To overcome such matters is a test of a true Leader. Failing such a test is surely a block in the road for one’s future success. In this blog, I’d like to focus on those attributes that can be cultivated and used correctly in the “power” chair of a CEO. Many are thought to be born with insight or perhaps been given a special set of parents that created the best learning opportunities for a young mind. That could be true, but it’s not a must. Often times jealousy and envy are the running buddies of success and therefore it would seem that a good career is sprinkled with a rough road to hold because difficult people will surely attempt to undermine. Well, both points listed could be true, I suppose. 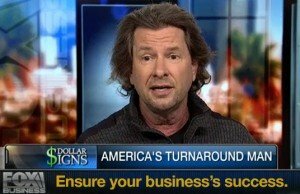 I’m not sure of any single reason for the degree of success in a company owner. Rather I think it is a profound “instinct” to survive. History is filled with people, who had nothing to begin with and many of the big heroes started the United States with nothing more than the clothes they were wearing and what they could carry. It would seem that tenacity is the key to the entrepreneur. A spirit of curiosity is good but hardly enough. Hard work, dusk until dawn, and a measure of divine inspiration to do something as good as the next guy or better will direct the hands of a man to work for himself instead of others. Finding new innovative ways to service people is a marvelous gift to a community and one that is sought after in every neighborhood of every city. So what is the key to longevity? Who survives? Is it luck? The short answer from my experience is possibly oversimplified but nevertheless vital. 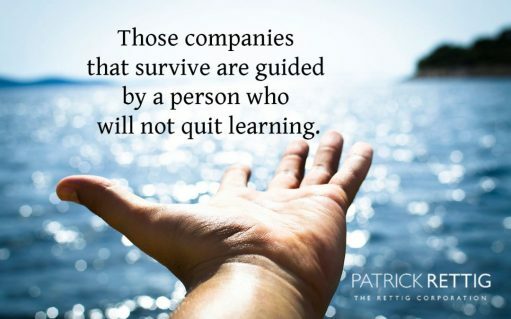 Those companies that survive are guided by a person who will not quit learning. Who stubbornly moves forward with as much information as is humanly possible to absorb and put to work daily. The operative phrase here is “information that can be put to work”. We are bombarded with new concepts every day all day. Those who take the raw materials of their personality and make them better every minute — are the survivors. A personality that has learned to earn a living providing a fair price for great service. Good luck my friends, if you’re in trouble, no matter what, let’s fix it while you’ve got a shot at it. Everybody gets into trouble, everybody has a reason, excuse or situation. So what. Let’s start by forgiving yourself and getting back to business. Call 24/7. Operators are standing by, oh by the way, I’m the operator.